Super-concentrater Pre-Workout. 45 servings of REAL energy. Ripped Freak Pre-Workout of Pharma Freak is a super concentrated supplement to enhance training. In each metering lies one mezlca of ingredients to meet any challenge with maximum energy! 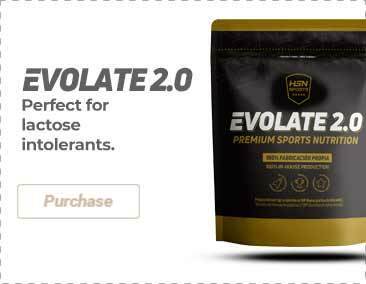 Caffeine Anhydrous, high capacity ergogenic aid, scientifically proven as physical and cognitive performance enhancer. Its scope acts by delaying the feeling of fatigue, increasing concentration and alertness. Beta-alanine is an amino acid that can increase intramuscular carnosine stores, leading to a protection against muscle pH variation, a fact that occurs in high intensity activities. The effect is similar to a 'buffer', allowing to continue the course of the activity once lactate appears. L-Tyrosine is an amino acid whose function is to be a precursor of certain hormones and neurotransmitters, including catecholamines like adrenaline. When this hormone is present in our body, our physical and mental faculties are altered and prone to be increased. Maximizes energy and mental focus. Mix 2 scoops with 250-500 ml of cold water and drink between 15-30 minutes before training and after a 12h period without taking caffeine. It is advisable test your tolerance to the product by taking 1 or 1/2 scoop before taking 2 scoops. Do not take more than 3 scoops in less than 24h.